Show what your car can do.. or just have a bit of fun!! 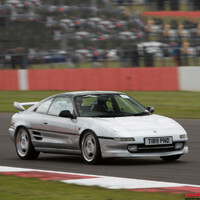 Its great and you have the track to yourself.. once you try it you'll love it..
Do you need a motorsport licence to enter? Unfortunately the date I was most looking forward to at Blyton clashes with my holiday! But will be there for the 2nd one! Adrian mentioned that this would be good for me to give a shot. Would love to, maybe the Cadwell or Snetterton later in the year. Its a version of Time Attack correct ? , is it done from a flying lap or from standstill ? Not quite the same as Time Attack. TA is essentially qualifying, drive around the circuit, pit as you need to and do as many laps as you need to to set the best lap time you can. You share the track with other cars and need to be able to find a space in traffic. Sprinting is a standing start and a flying finish in different locations and cars are set off at 30sec or so intervals. You shouldn't encounter another car on track unless they've had an issue in which case you'll get a rerun. When we're at a circuit the course is usually more or less a full lap although this can vary (Snetterton 100 is more or less 2 laps of the short infield loop, Croft is a full lap apart from a section of the start finish straight, Cadwell starts just before Hall Bends and finishes before the mountain). Over the course of the day you'll get a number of runs (we usually aim for 8, and usually get them but occasionally issues can mean we only get 6 or 7). Your best run of the day counts. Cheers for the explanation pal, I'd love to give this a shot. anyway to get to learn the track. This seasons target for me was to take an overall podium at an event. Yesterday I achieved that and then some! Nice video! What setup do you use for capturing speed, revs and GPS data?